Imagine Green: Bagong Bili or Bagong Laba? Compare Alex Gonzaga and Melai Cantiveros’ matching OOTD! Bagong Bili or Bagong Laba? 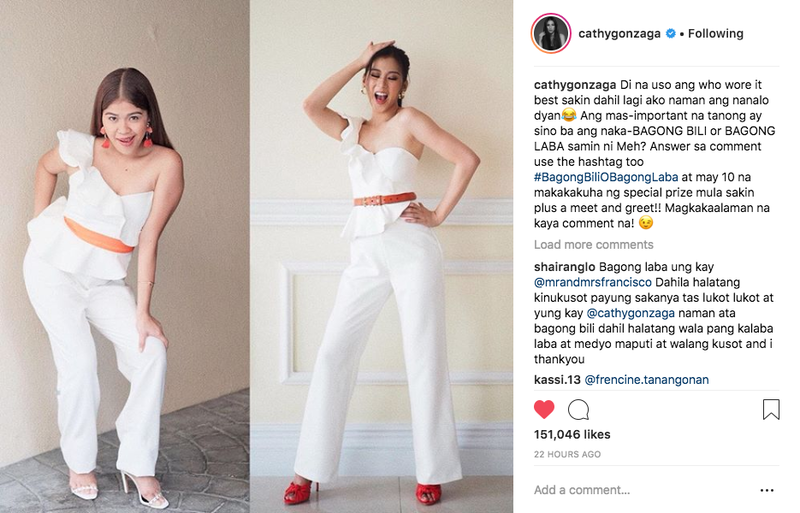 Compare Alex Gonzaga and Melai Cantiveros’ matching OOTD! It started with an unexpected twinning OOTD. 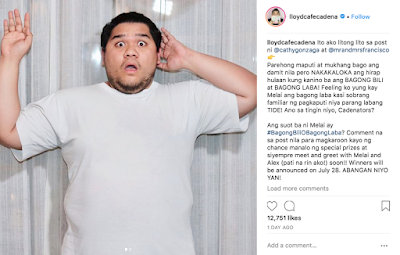 Now, netizens can’t get over who’s wearing bagong bili o bagong laba! 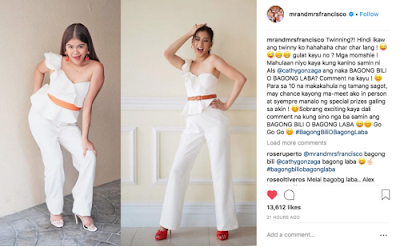 In a surprising yet funny incident, Alex Gonzaga and Melai Cantiveros were ‘twinning’ over the same white jumpsuit. And it’s not just your ordinary 'Who wore it better?' case. Plot twist? What got netizens talking is the confusion on who is wearing bagong bili o bagong laba. 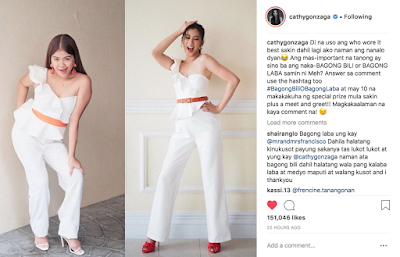 Being playful as they are, the two girls posted this on social media and asked their followers to guess whose OOTD is Bagong Bili and Bagong Laba. 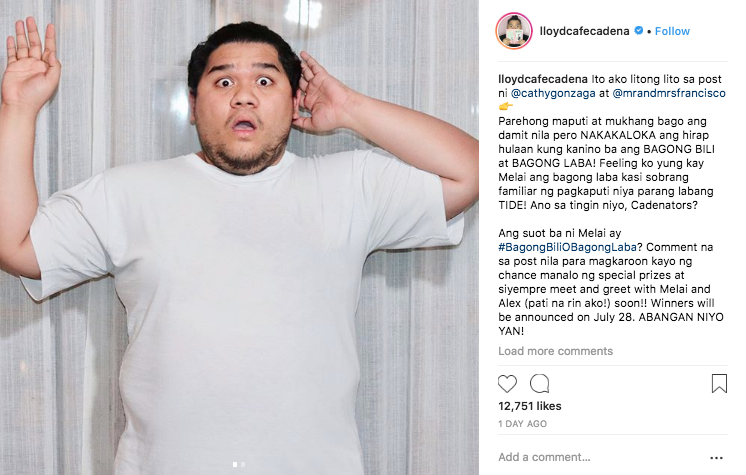 In just 24 hours, Alex and Melai’s posts has over 200,000 likes and comments across social media. Now, everyone is feasting over it and throwing their own guesses. 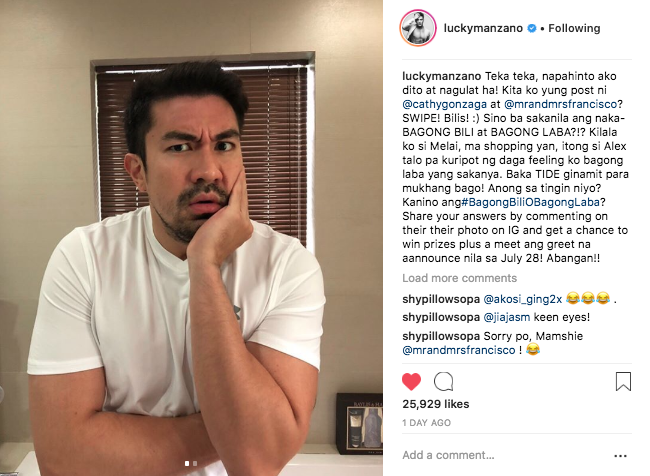 Even their co-actors and friends from showbiz are joining in on the craze. It’s probably the toughest guessing game on social media right now, and the answer remains a mystery! Other celebrities who tried their luck were close friends of Alex -- Fourth and Fifth Solomon, and mommy vloggers like Kris Lamugui, Anne Clutz and Isha Borromeo. 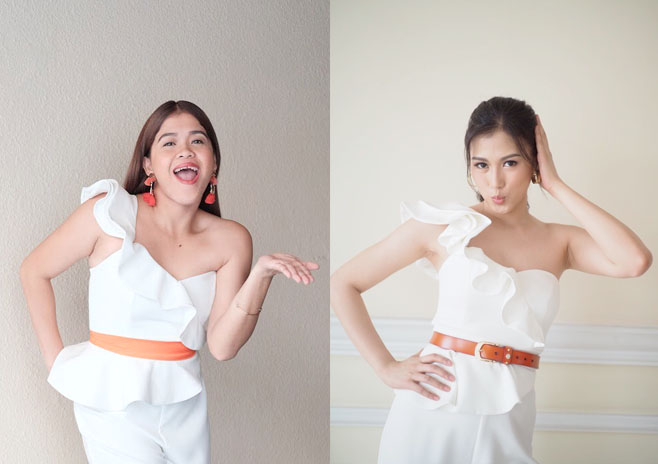 Whose OOTD do you think is Bagong Bili and Bagong Laba? Make your guess now for a chance to win cool prizes and a meet and greet with the stars! Share Alex and Melai’s post on Facebook or Twitter with your answer and the hashtag #BagongBiliOBagongLaba.